That’s a wrap! Full interviews with the more than 30 participants in “Ranger Lore: The Occupational Folklife of Parks” have now been uploaded to the “Ranger Lore” YouTube channel. 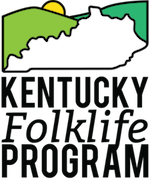 These interviews, along with detailed interview information and verbatim transcripts, have also been deposited at the American Folklife Center at the Library of Congress and Mammoth Cave National Park. Although this content is not yet available online, interested parties may contact the American Folklife Center for more information. To learn more about this project, visit www.rangerlore.org.